Love your mouthguard? If your used to wearing the traditional hockey puck of a mouthguard, this might be the challenge of the century. Especially in basketball, mouthguards aren't the most popular piece of equipment. 50% of kids in sports could sustain a dental injury by the time they graduate high school. 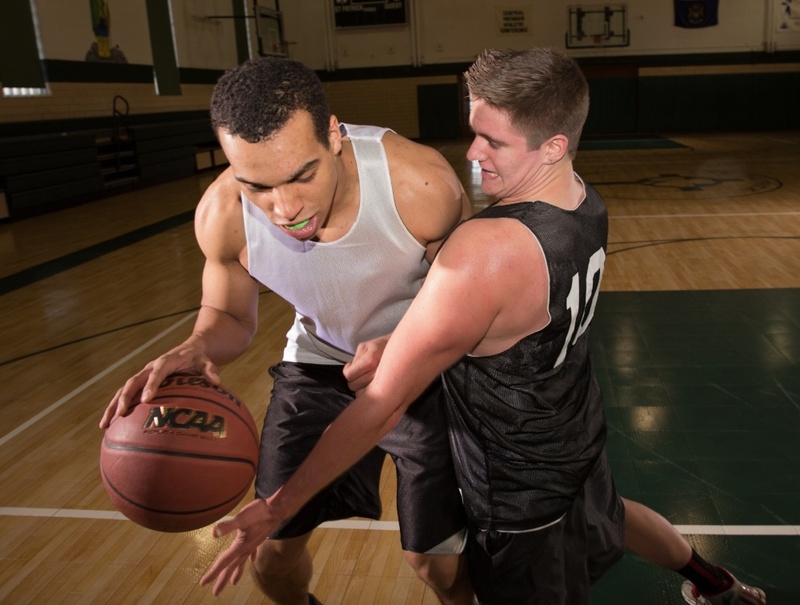 Basketball has the highest number of dental injuries among all sports. 1 in 10 male players will suffer a dental injury this season. The cost to treat an avulsed tooth over a lifetime is between $5,000 and $20,000. These dental injuries are a result of the nature of the the game. Basketball is a game of close quartered contact. Whether you are defending an opponent or catching a rebound, basketball players are susceptible to flying elbows. And NBA star, Kevin Love agrees! During a recent interview with GQ, Love recalled "When I was young, if I didn't have it [mouthguard], I would have gotten my teeth knocked out, no question. Because the game has become far more aggressive." The lack of mouthguard mandates is only a part of the issue. A larger issue is the mouthguard itself. When players were surveyed as to why they don't wear mouth guards, the number one reason was that mouthguards are uncomfortable. Once you see the mouth guard options available in the big-box athletic stores, you'd agree too. Basketball is a team sport that requires clear communications among teamates. Whether they need to call for coverage on the defensive end or that they are open, basketball players are contstantly yelling on the court. Once you throw in a bulky piece of rubber in the mix, it can change everything. Communication is practically gone. With such a fast paced game, there is no time to be misunderstood with muffled mouthguard speak. The solution for players? A custom fit mouthguard. Similar to a fingerprint, everyone has a unique set of teeth. When it comes to the best protection and performance, "one-size fits all" guards are not the solution. Having a personalized fit provides athletes with more protection without hindering their ability to talk and breathe. Mouthguards are an essential piece of equipment for any sport. In fact, athletes are 60 times more likely to suffer harm to the teeth when not wearing a mouthguard. Despite these risks, mouthguards are not mandated at any level. In fact, you tend to see them more in the NBA than in college, high school and youth leagues. Without mandates, it's up to players to decide whether or not wear a mouthguard. If you decide to invest in a mouthguard, you'll definitely want one that will do the job well.